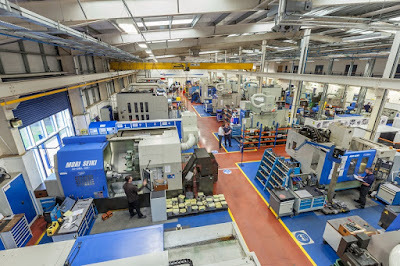 AESSEAL is one of the world's leading specialists in the design and manufacture of mechanical seals, bearing protectors, seal support systems and gland packing. AESSEAL has 230 locations worldwide, supplying customers in 104 countries, and employs a global network of sales engineers and technical support specialists. It employs 1,776 people across the globe. By investing in pioneering technology, AESSEAL simplifies the whole ordering process and responds quickly to customers' needs – whatever, wherever. The company's ethos is based around providing such exceptional service to customers that they need never consider alternative sources of supply. The aim is to exceed expectation consistently: in delivery, quality, reliability and service. To challenge industry standards, challenge competitors, challenge thinking – and challenge to become world market leader. You can read about AESSEAL on Rothbiz here.